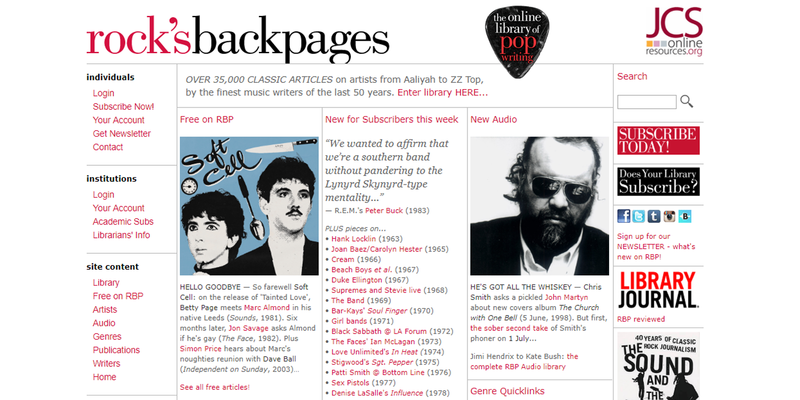 A unique archive of music writing sourced from the pages of the music and mainstream press, Rock’s Backpages is a treasure trove for music lovers of all ages. The archive is constantly growing, with new articles added weekly. The vast library of 36,000+ full text articles includes reviews, interviews, features and more from the early 1960s to the present day – from Abba to Zappa, the Stones to the Stone Roses and from Elvis to Eminem. It also features over 550 exclusive, previously unpublished audio interviews with major musicians. The articles are available in full-text and can be searched by artist, writer, date, genre and keyword. 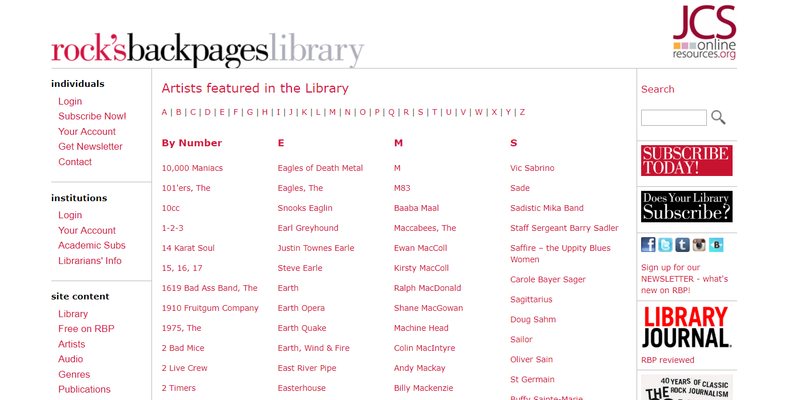 Users can browse A – Z lists of subjects, artists, writers and publications. Written by over 700 of the biggest names in music journalism, articles are taken from the widest possible range of publications in the US and UK: from Creem and Trouser Press to Rolling Stone, and from New Musical Express and Melody Maker to MOJO. 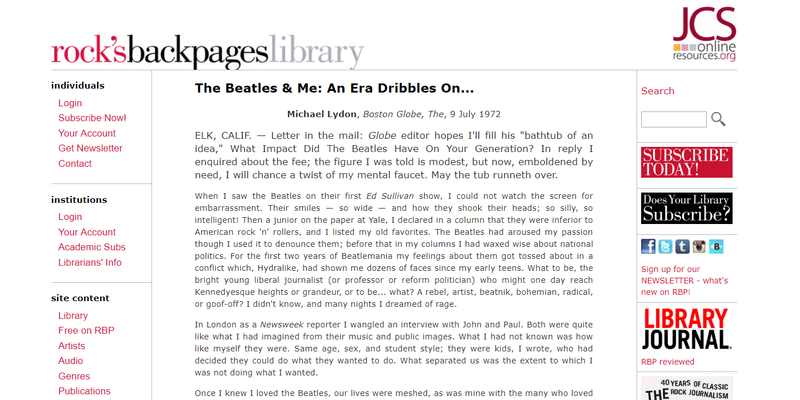 The archive covers all types of popular music from the 1950s to the present, and includes previously unpublished pieces about the Beatles (by Michael Lydon in 1966), the Doors (by Lester Bangs in 1975), and seminal interviews with major artists from Bob Dylan to Radiohead. Currently between 30 to 50 new articles are added to the archive each week. Promotional and training materials can be downloaded here.